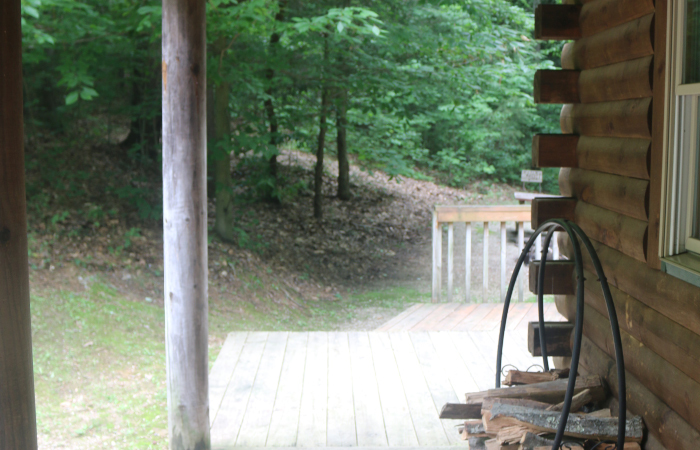 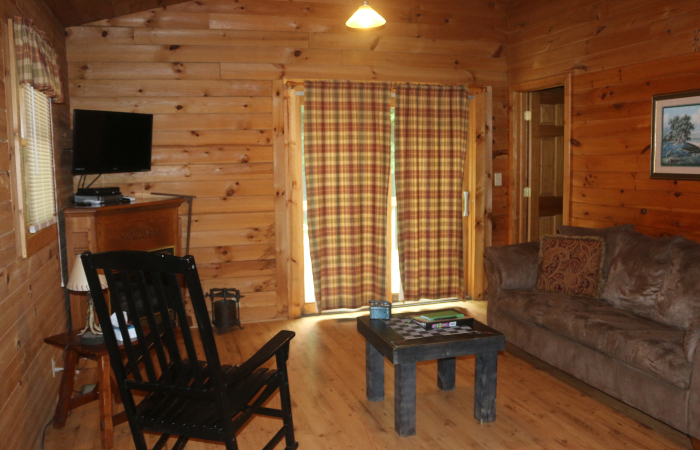 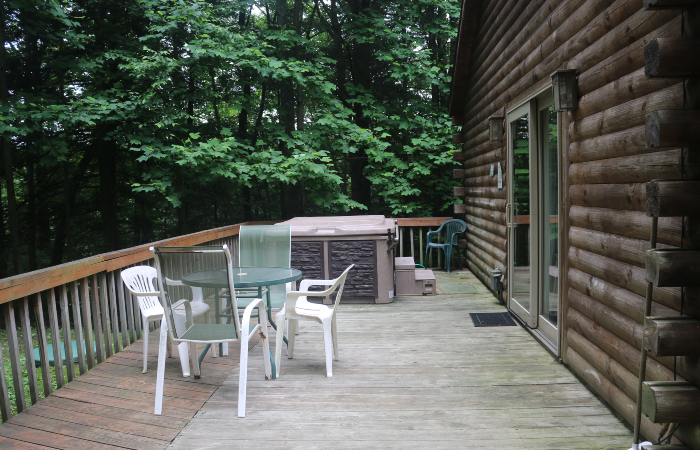 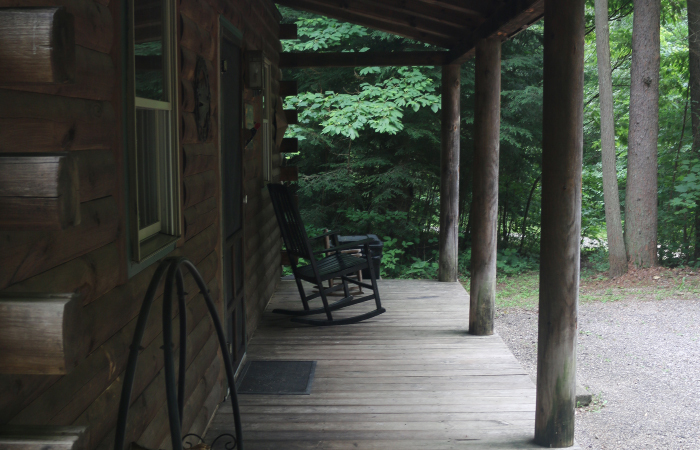 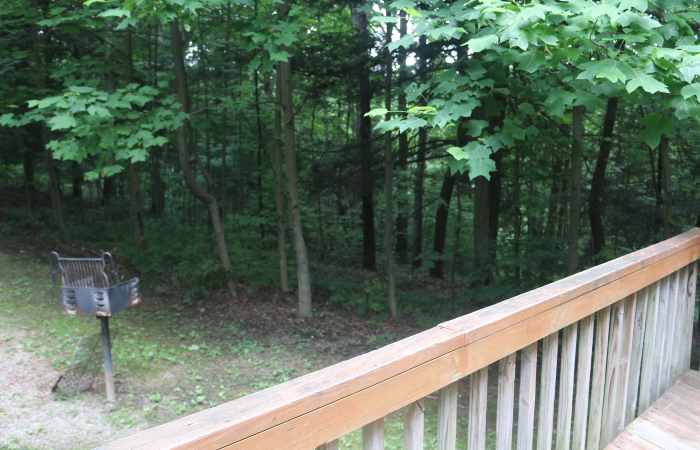 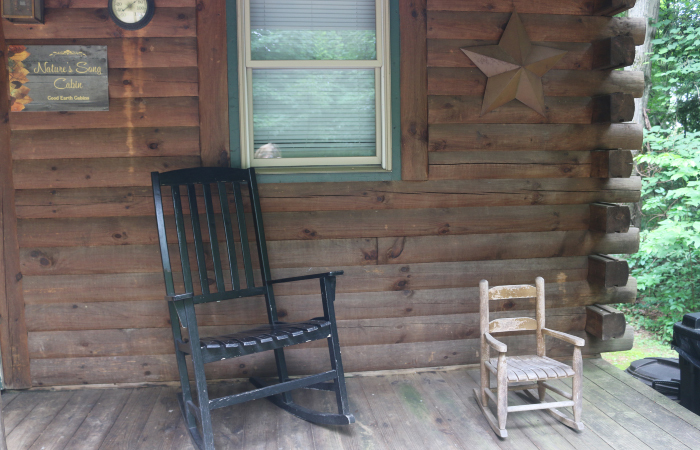 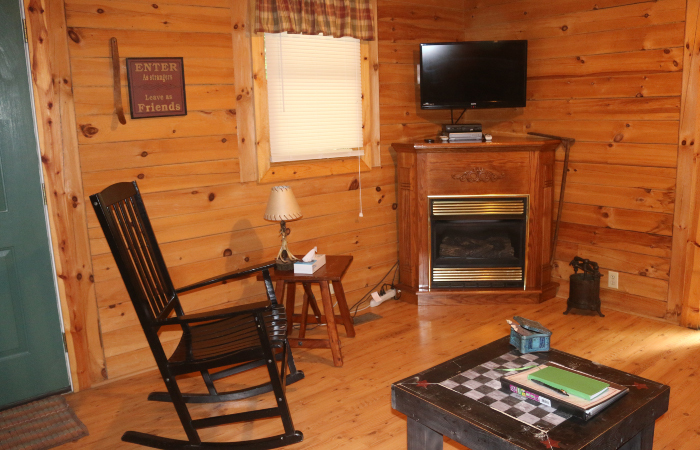 Nature’s Song is a 2 bedroom log cabin tucked away on 70 wooded acres. 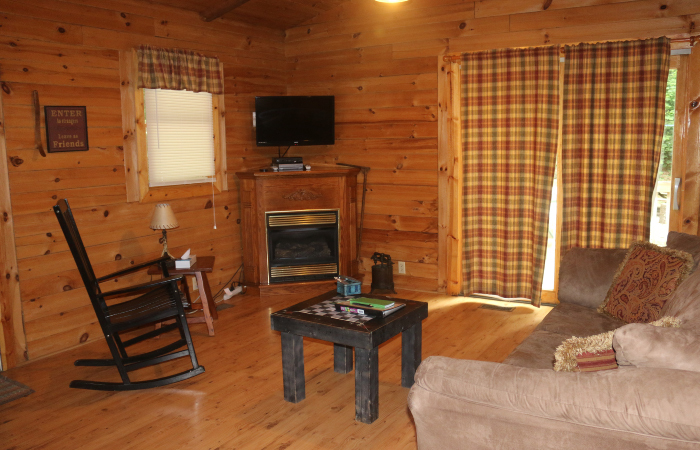 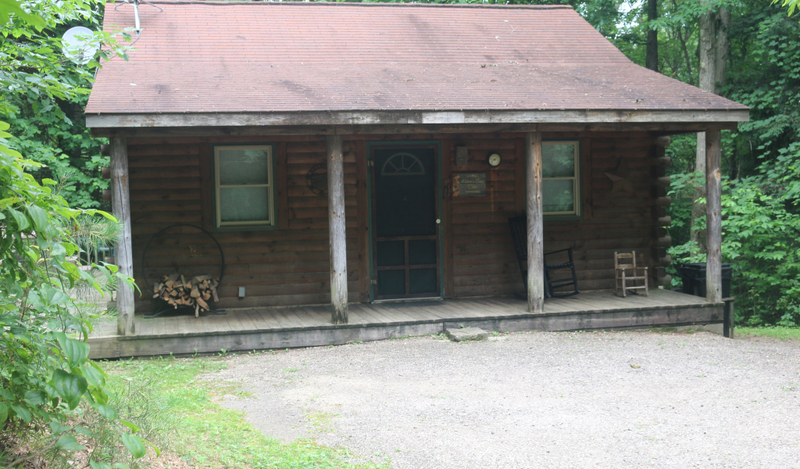 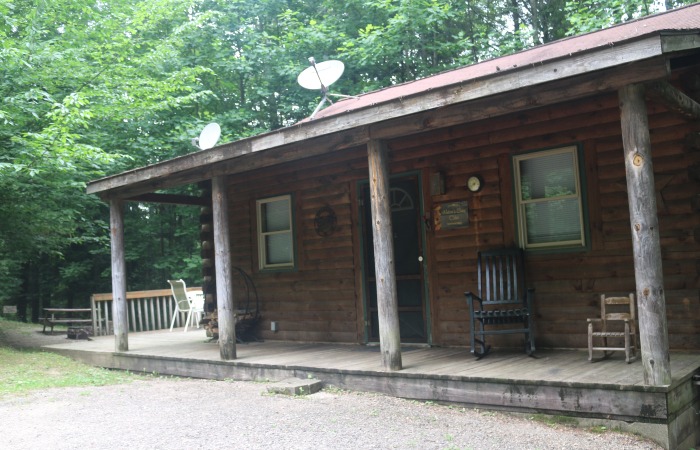 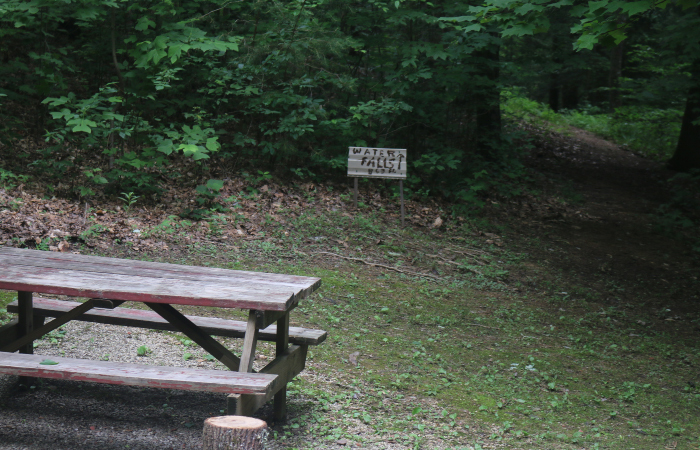 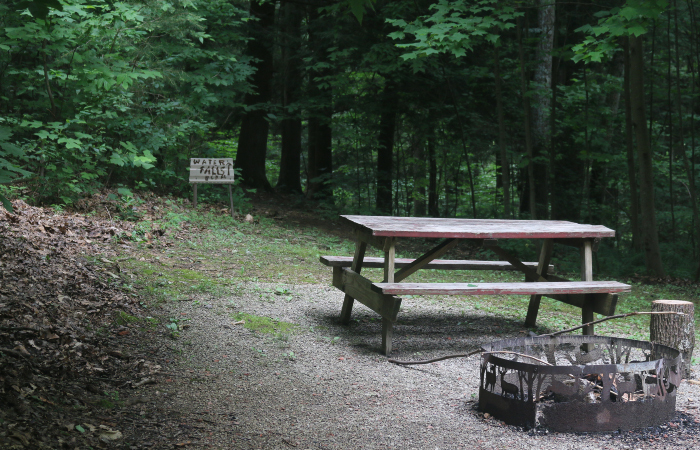 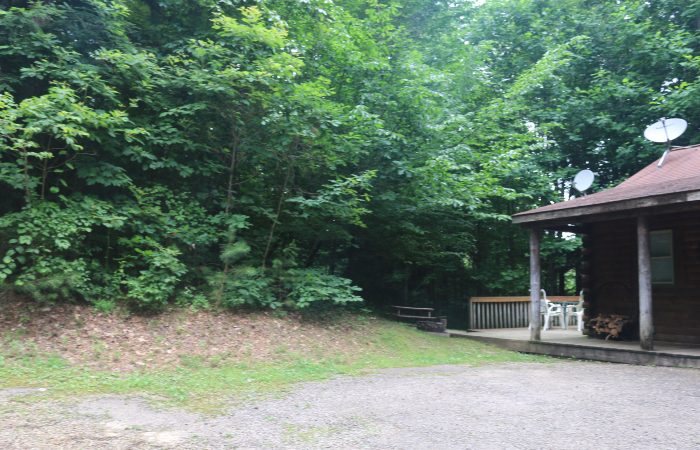 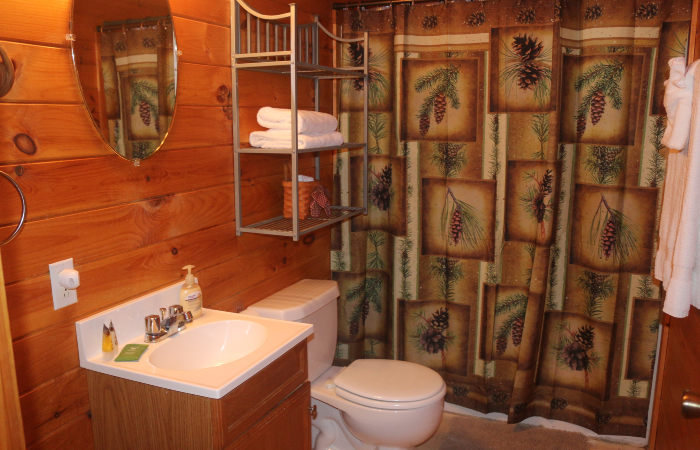 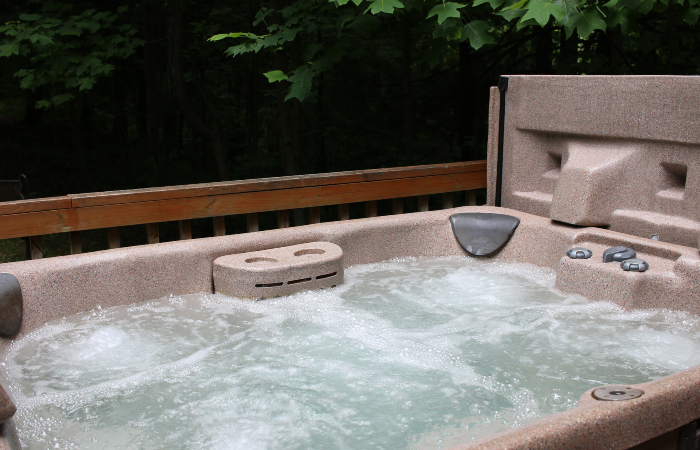 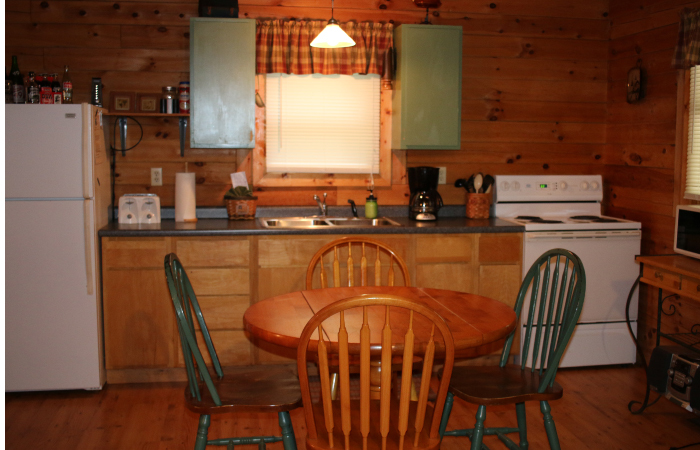 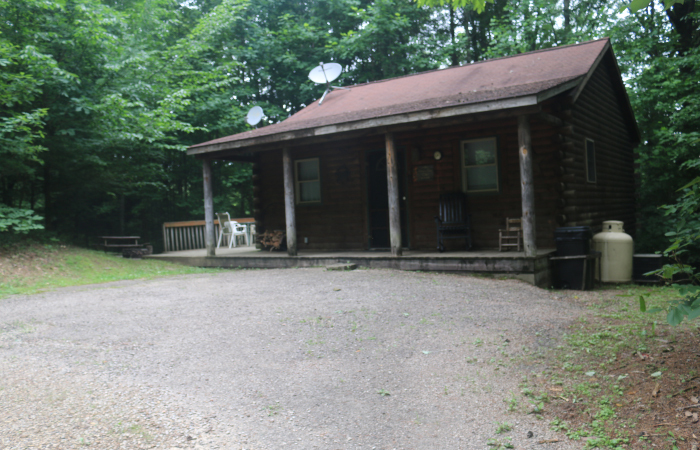 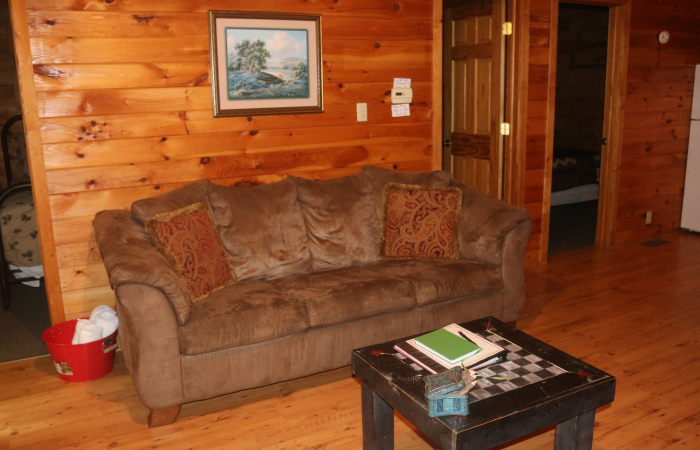 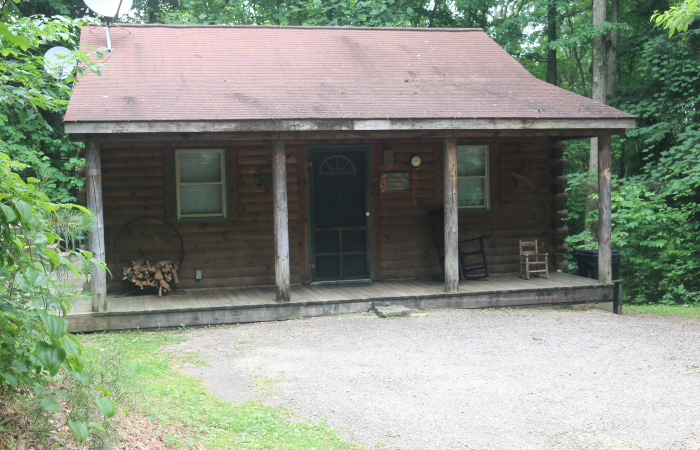 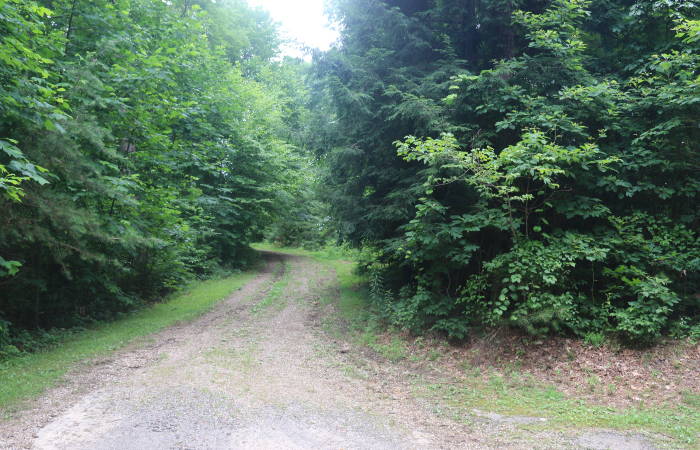 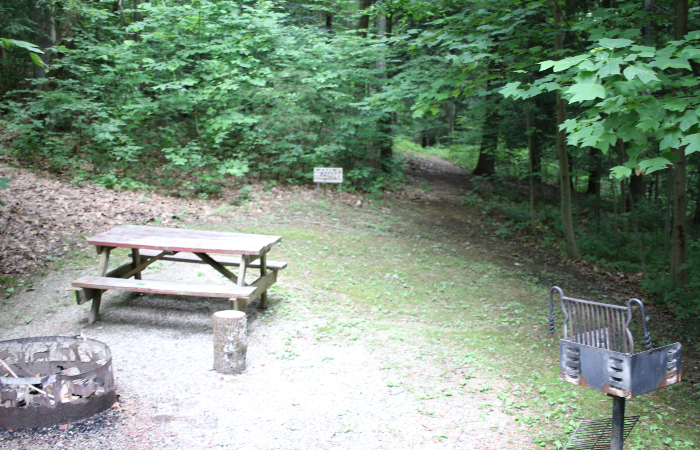 The cabin provides comfortable furnishings and is just 5 minutes from the state park.. 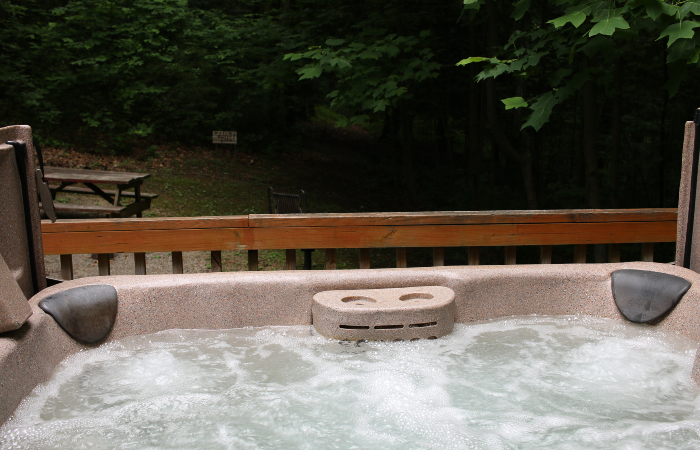 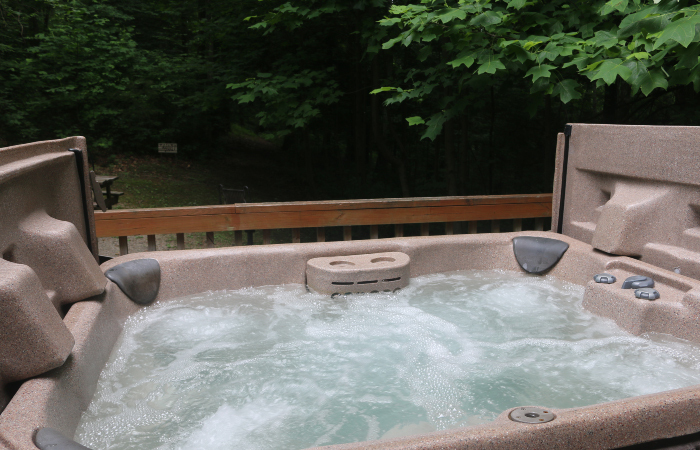 Follow a nearby trail to a private waterfall, sit around a campfire or soak in a bubbling hot tub. 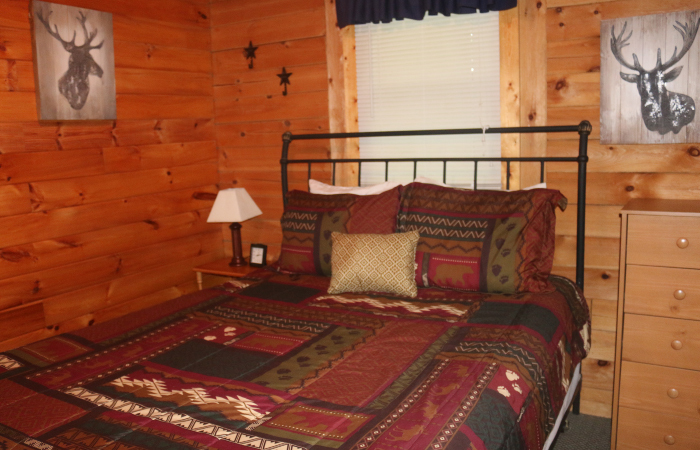 One queen and one full bed offer space for up to 4 guests. 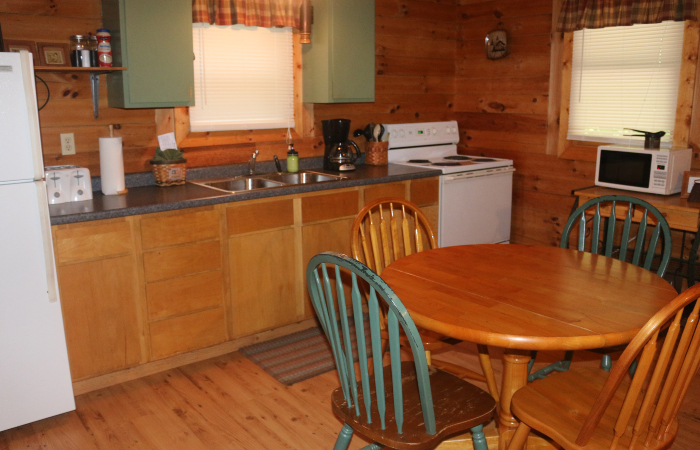 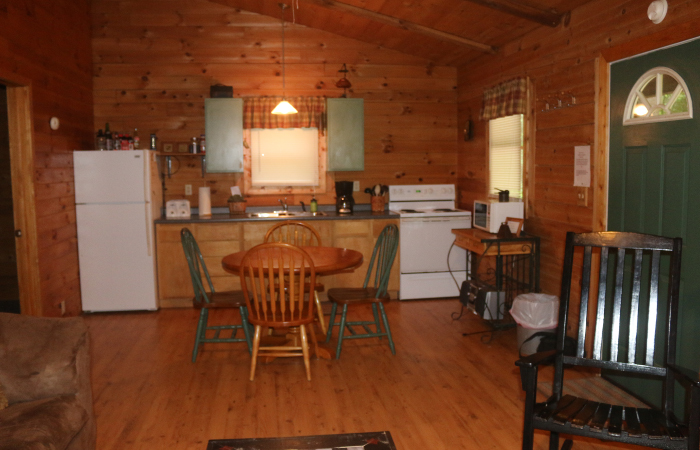 Complete kitchen and gas fireplace make the cabin a cozy hideaway for your family. 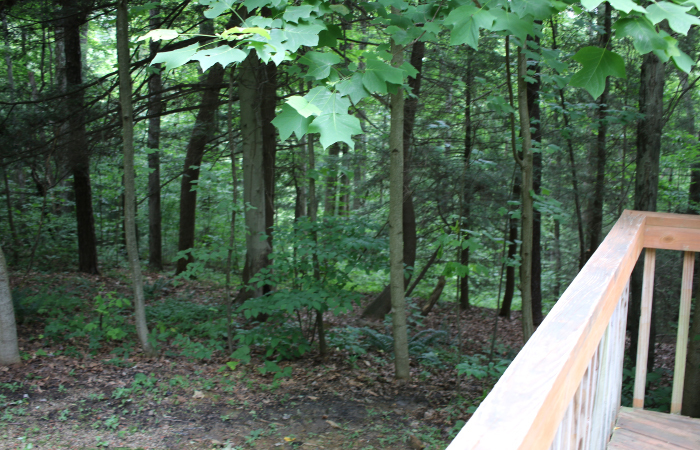 Nature abounds at Nature’s Song. 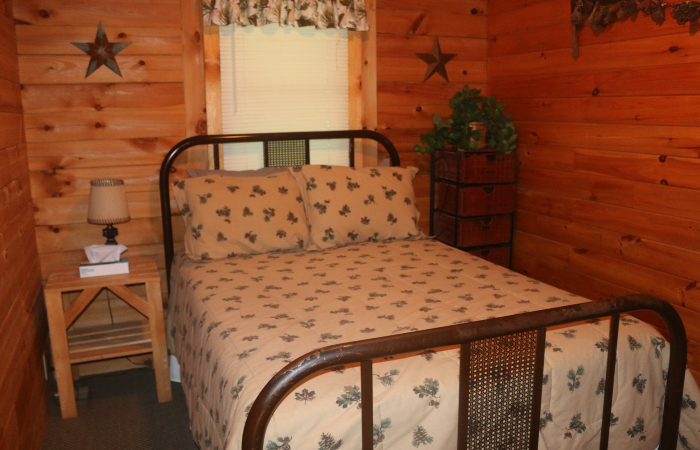 • Rates based on 2 guests.